A shop selling bitcoin vouchers has opened on the edge of London’s financial district. Called Azteco, the store allows customers to buy bitcoin with cash from an attendant. Customers arrive, decide how much bitcoin they want to buy and hand the attendant cash. The attendant then prints out a voucher containing a code that can be redeemed at the Azteco website. A 3% commission is charged on each transaction. Conversion rates are taken from BitcoinCharts.com. Azteco’s founder, Akin Fernandez, said his service is designed to make buying bitcoin as simple as possible for the general public. Fernandez said he had performed a “handful” of transactions since the shop opened its doors on 17th February, and that his customers so far have been people with some knowledge of bitcoin but who didn’t previously hold the cryptocurrency. “Mostly they come in to chat. Demand is very small at the moment, so I don’t expect to have a line of people outside the shop,” he said. The London shop is just the start of Azteco’s plans, Fernandez said. He describes the Azteco business model as a “virtual ATM” for bitcoin. He plans to market the service to real-world merchants who want to add the ability to sell bitcoin vouchers to existing services. Merchants would sign up with Azteco, pay a security deposit and split the commission with the firm. Azteco would supply merchants with bitcoin. Several companies are vying to install London’s first bitcoin ATM, with one planned for Shoreditch, just minutes from Azteco’s shop. Fernandez said he wrote Azteco’s software himself, and that his involvement in cryptocurrency dates back to the late 90s. 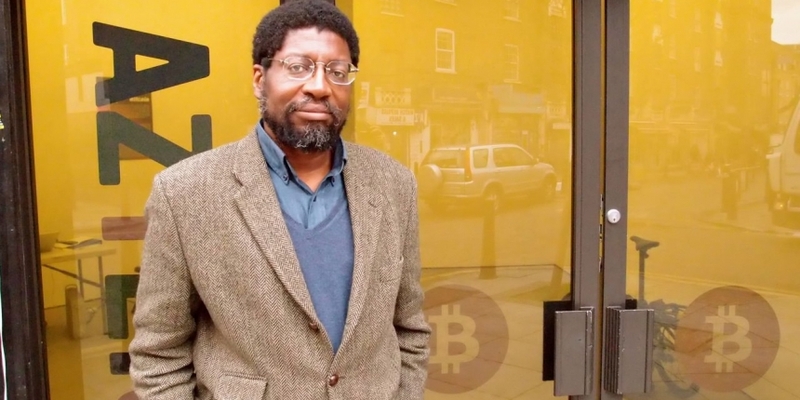 He obtained his first bitcoin from Amir Taaki, a pioneering developer in the bitcoin space. Azteco is run by Fernandez’s company Irdialini Ltd, which is mainly engaged in publishing work like The Conet Project, an acclaimed series of recordings of mysterious shortwave-radio stations. 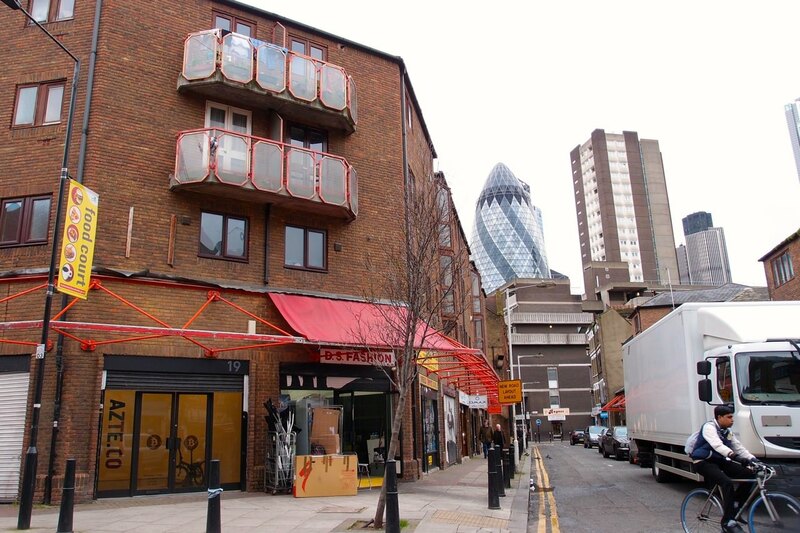 The Azteco shop is located at 19, New Goulston St, plying its trade in digital currencies next to the historic Petticoat Lane market, where traders have been hawking their wares for more than 250 years. A stone’s throw away is the iconic ‘Gherkin’ skyscraper, which houses insurance giant Swiss Re. Fernandez’s shop is sparsely furnished. The space contains just a desk, three fold-up chairs, a battered inkjet printer that produces the bitcoin vouchers and a titanium Apple Powerbook. Fernandez was browsing the latest story about his shop on the Daily Mail’s webiste when CoinDesk visited. “I’ve been getting a lot of action on Twitter now that the press has picked this up,” he said approvingly. Azteco’s neighbours are non-plussed about the new cryptocurrency arrival on the street. Next door at an computer and electronics parts wholesaler, questions about bitcoin and cryptocurrencies drew blank looks from staff.